Schedule a FREE Onsite Analysis of The Air Quality Needs of Your Business! 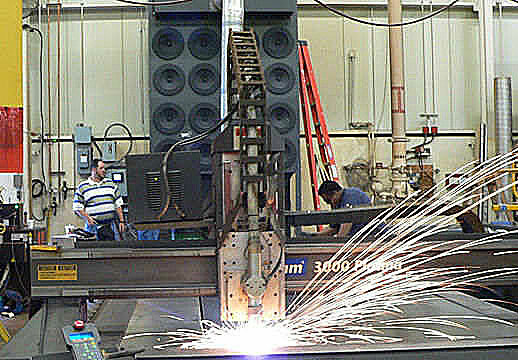 Plasma or Arc metal cutting was developed in the 1950s and was used to cut specific types of metal such as copper, stainless steel and aluminum. The process implements electrically conductive gas that transfers energy from an electrical power source through a plasma cutting torch to the material being cut. Plasma gases can include argon, hydrogen, and nitrogen, or combinations of these, along with oxygen. Micro Air uses a unit such as the RP8-2 that ducted to plasma cutting table collects harmful smoke and fumes generated in cutting process.